A year ago at this time, it was just my son (6 years old at the time) and I. A little family of two. Fast forward a year and we’re now a busy family of six – my son & I plus my boyfriend and his three boys (13, 15 & 17). With a busy family of six, it’s not easy to plan vacations. We have three boys in school – all in different schools. We have one teen who graduated this past June so he’s now working. We have four boys all on different sports teams. Then both Ryan and I run home businesses (three between the two of us). As you can imagine, it can get a little hectic around here. When we saw a 4-day break in our schedule where no one had work, school, or sports, we knew we had to take that opportunity to go on a little vacation. With active boys who love the outdoors – where do you go on a family vacation? To one of the many national parks in Canada, of course! Parks Canada and Waskesiu offered to host us for a weekend and it sounded like a great vacation for us. We’re in Saskatchewan so we’re only a few hours away from Prince Albert National Park and Waskesiu. During the spring and summer months in the national parks, you have beaches, swimming, fishing, boating and more. We wondered what sort of activities we could enjoy together during a chilly Thanksgiving weekend and the answer was: a lot! 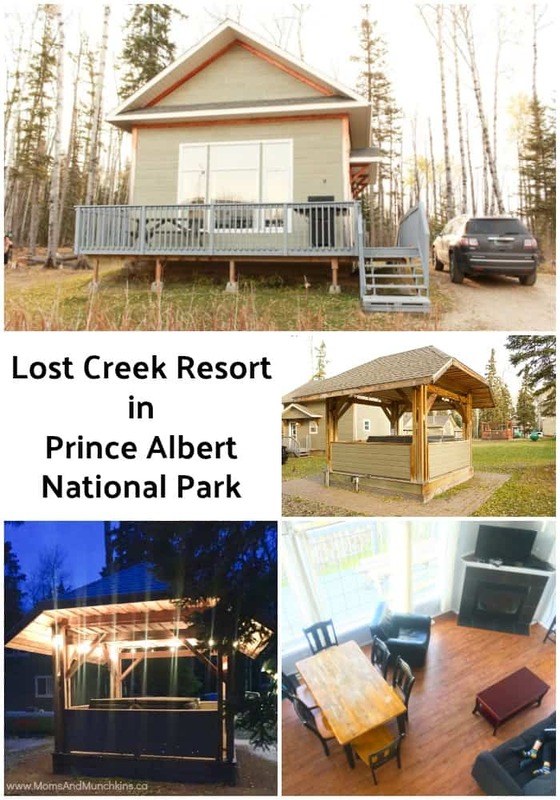 In my next post I’ll talk about all the fun activities we enjoyed in and around Prince Albert National Park but first I want to tell you about the great accommodations we had at Lost Creek Resort. 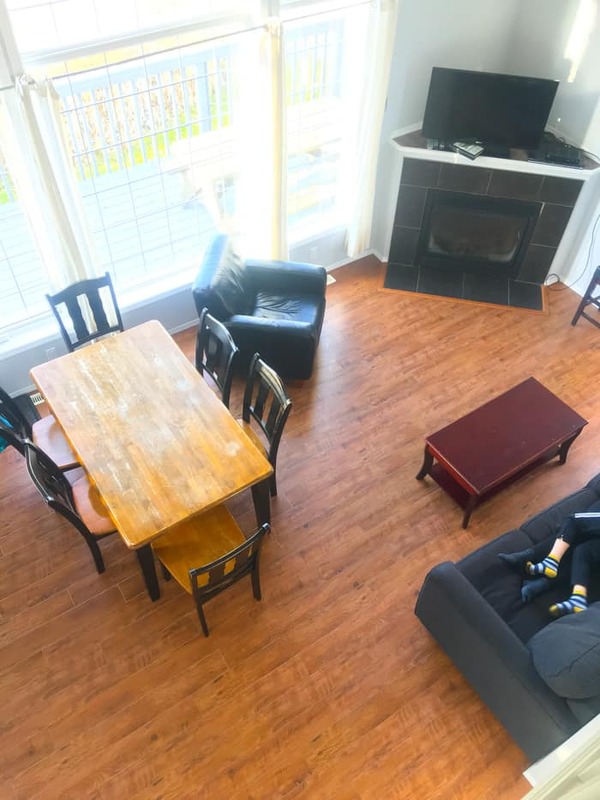 Before I get into all the details, check out this video overview of our 3-bedroom, 2-bathroom cabin. It was the perfect size for a large family of six! See what I mean? Perfect! We had three separate bedrooms plus a sofa bed so technically this cabin could sleep up to 8 people. 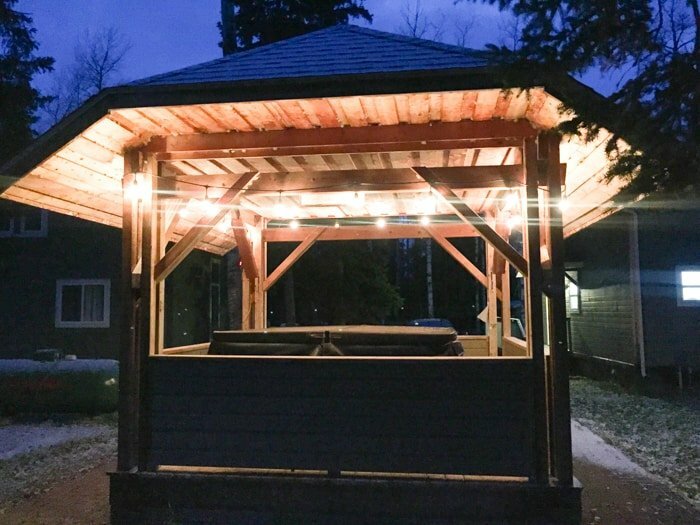 With a 7 year old on a much different sleep schedule than the teens, it was nice to have a separate area for him to go to sleep while the older boys could still watch TV, play games or go outside to enjoy the hot tub. 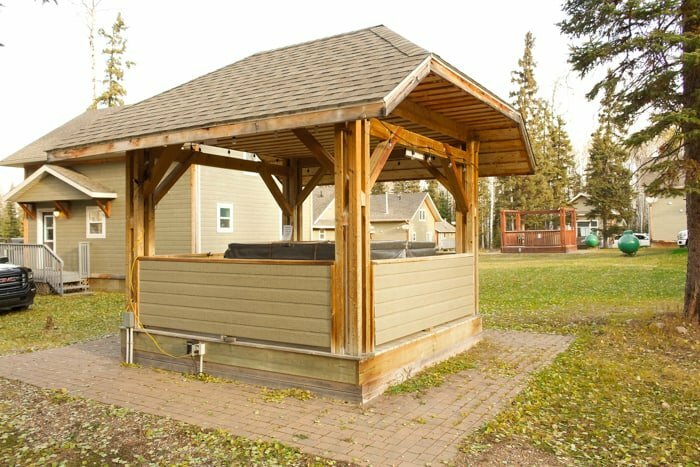 Yes – there was a hot tub outside! Two of them actually. They are in the middle of the resort park so they are within walking distance for all guests. It was a great way to warm up and relax after a long day of hiking, biking and exploring. Inside the cabin we had a large full kitchen with everything you need to cook like you do at home – dishes, pots, pans, utensils, even a BBQ outside. It included a full sized fridge as well to load up with groceries. Tip: If you want to load up on groceries before you get to Prince Albert National Park, stop in Prince Albert for your shopping. There is a small grocery store in Waskesiu (inside the park) but if you’re buying a lot, it’s best to stop in Prince Albert before heading up. Keep in mind – depending on the time of year you go – a lot of the local businesses in Waskesiu are closed for the season including the small grocery store. When planning your packing list, it’s important to note that this is a cabin and not a hotel. You will be supplied things like towels, toilet paper and tissues, but you’ll need to bring your own shampoo, conditioner, hair dryer, paper towel, plastic food wrap, tin foil and coffee. There are no laundry services in the cabin area but the front desk was able to wash some pants for Ryan after he had a little sinking mud incident on a hike – my true outdoorsman. Ha! So pack extra clothes just in case. The front desk (in a separate cabin at the front of the park) also has games you can rent out for a family fun night. It’s great way to spend some quality time together in the evenings. Lost Creek Resort was a really quiet area. All the cabins are spread out nicely so you don’t have neighbours directly beside your windows. Unlike most hotels, you don’t have to worry about the noises in the hallways at night or the room next door having a late night party. 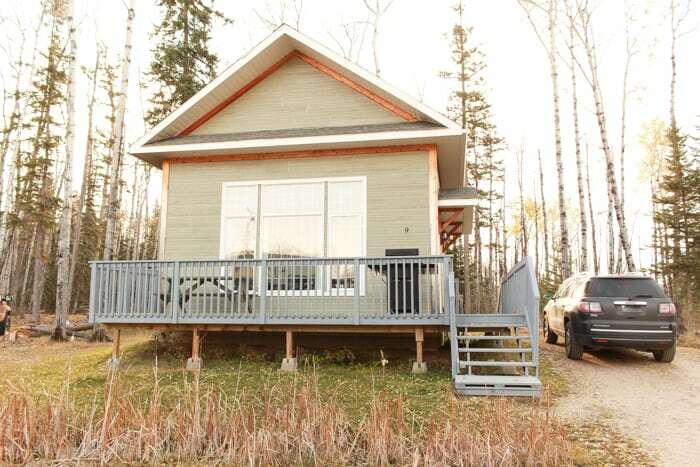 The location was perfect – a nice quiet area nestled in the trees but still within a two minute drive to Waskesiu. Up next – Prince Albert National Park fall activities! Although a lot of the local businesses were already closed for the season over the Thanksgiving weekend, there was still so much to see and do including hiking, biking, guided tours, dog carting and more! Visit our Prince Albert National Park fall activities post for all the details.